Has the stargazing bug bitten you? Do you love the outdoors and need the best portable telescope for traveling? You have come to the right place. We have selected some of the finest pieces of equipment for you to make your selection easier. We know the market has some great stationary models, but for roaming in the outdoors, you need a compact, lightweight, and powerful one to achieve the best results when navigating the stars. However, if you want a starter telescope to take with on vacation and still be able to capture images you must be prepared – check our top 10 best travel portable telescopes out here. Do you enjoy going on camping trips? 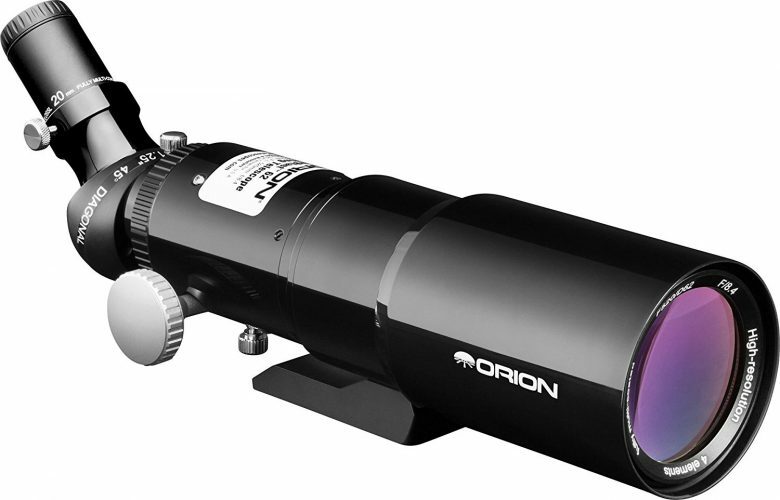 Why not pack in the Orion GoScope II and take it with you. 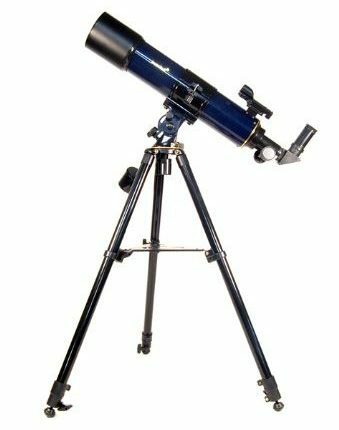 The family can enjoy stargazing in the open spaces with this portable telescope. You receive a nice travel bag to keep all the accessories inside and safe. The only thing you will want to do is buy stronger eyepieces such as a 6.3mm, 3.6mm, and a 2-x extender. You receive a 10mm one included that allows you to view the craters on the moon. There is enough storage space in the bag for the tripod, telescope, and extra accessories. Your kids will love you when surprising them with the AstroMark portable telescope on your next camping trip. The backpack bundle has a fantastic price. 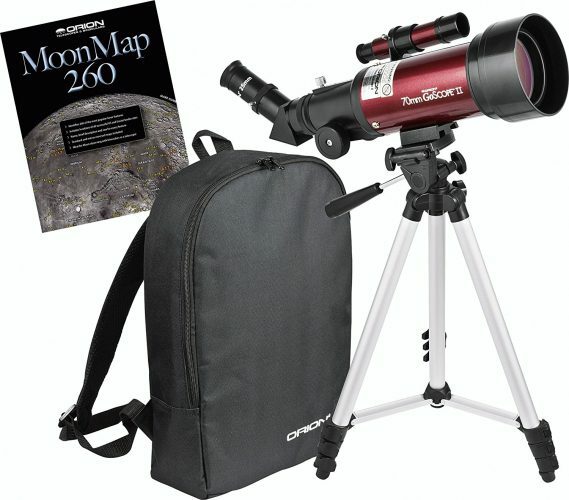 Included you receive the telescope, two eyepieces, a finder scope, mini tripod, and the custom travel bag. Whether you are hunting, bird watching, cityscape gazing this travel telescope is ideal to take anywhere. As a starter, portable telescope the National Parks Foundation TravelScope is more than ideal to use at the price point sold. The device is easy to setup and takedown and comes included with a tripod and backpack. The amazing thing is you can even see craters and when viewed in a crescent state without a moon filter. You can use the optic for daytime and nighttime viewing. Are you an outgoing person interested in seeing Jupiter’s moons, or the rings of Saturn standing on top of City Hall? 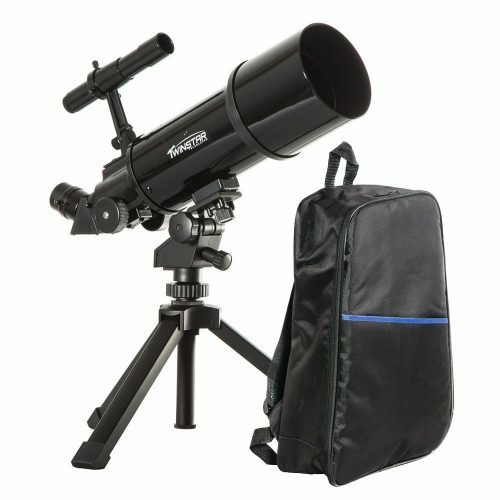 We recommend you get this portable refractor telescope kit. The image quality is fantastic and it is easy to assemble. The only downside is the instruction manual and best to view a series of photos on their website here. You can also find assembly videos available on YouTube. The nice thing is the device has a solid construction and the technology is impressive. Even the kit with accessories is dazzling and adds quality to the package. 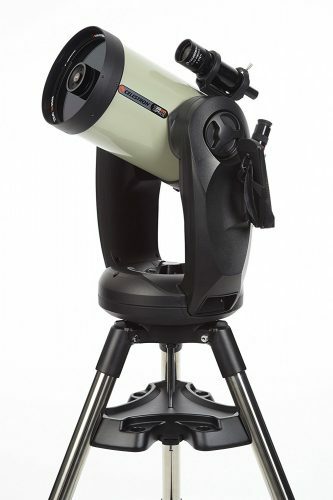 For the best portable telescope, you need the Celestron 127EQ PowerSeeker. The problem is that it has captured a lot of conflict in forums, but we are here to fix this. You can align the telescope with your eye and do not need a laser tool, as it is not as powerful as the expensive scopes available on the market. You get the finder scope included but does take some time and patience to line it up and it is replaceable. Another added accessory is the Barlow lens to improve magnification. The only thing that is not included is a travel bag. Here we have another compact telescope to take with on hunting trips, fishing trips, camping, and more. The StarBlast has a petite design with a deluxe foam-lined hard carrying case. The build is exceptional and looks great to look at and through it. You can use it for any type of observation of distant wildlife to the moon. The lightweight design and included accessories make for a great buy and worth every cent spent. With the NexStar, you get a portable telescope and offer you more light gathering power. The only downside is that you will have to align it occasionally with a collimation eyepiece. You will have no trouble fine-tuning the optic. Once done the images are sharp and offers you the best viewing experience. As it is a computerized model, the biggest drawback is the battery consumption, so best to take many batteries with you on your trip. An alternative is to buy a PowerTank battery. Now you may be wondering why we have added the Regal M2 Spotting Scope into the mix of portable telescopes. 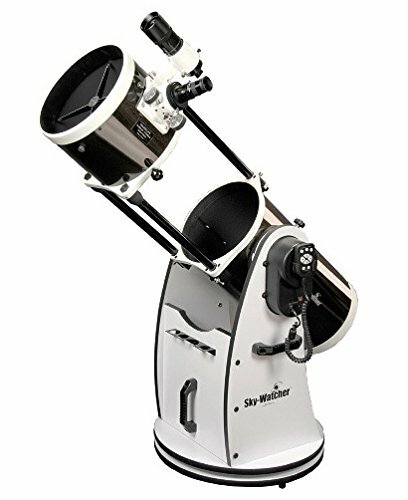 We have done this for a good reason, as the device is great to use for hunting and suitable to view celestial objects as well. The unit has an ED objective lens that helps minimize chromatic aberration. At the same time, it increases the contrast and resolution. 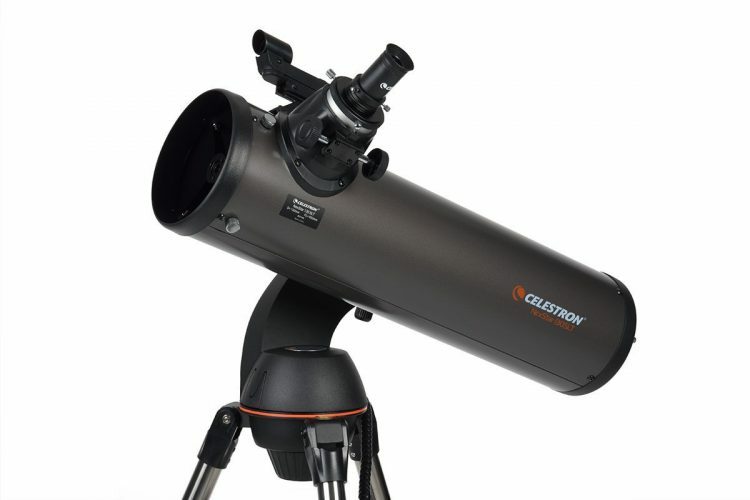 Celestron has used a fantastic lens coating to give you a sharp and vivid image when viewing outer space. In addition, the best of all you can use it with Astronomy eyepieces. The SkyWatcher is one of the best portable telescopes you can buy. The tracking is amazing, as you do not have to track an object manually. For you, this is great, especially when used at a higher magnification. The setup of the GoTo scan system is easy and quick and it switches between manual moving and the GoTo quickly. You can collapse the tube for traveling. Yes, we know this portable telescope is expensive but is worth the attention. 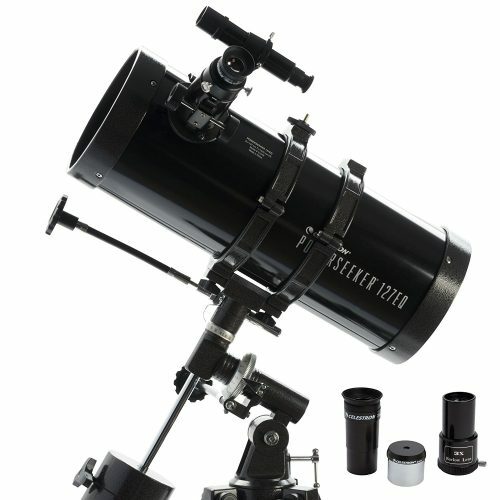 This is a serious telescope and one of the best Aplanatic Schmidt-Cassegrain telescopes available. You get an exceptional two-year warranty, customer service and have a quality build. The EdgeHD optic is clear and great for astrophotography as well. The tripod and tray included are easy to set up and take down and adjustable. No matter what your needs are in travel telescopes to view celestial and terrestrial objects – you can find the best portable telescope here with us. You will find that each brand caters to your budget needs, durability, versatility, quality, and include some great extra accessories. 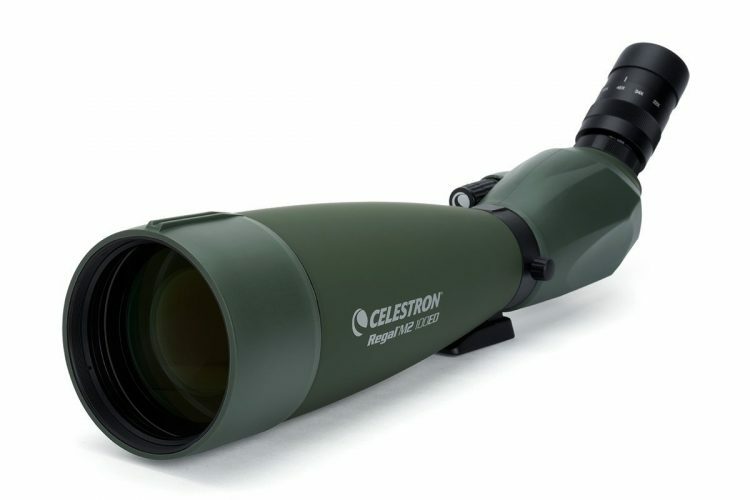 However, if you need more than just a telescope we recommend you look at the Celestron spotting scope that offers you more than just astronomy use and great for hunting as well.